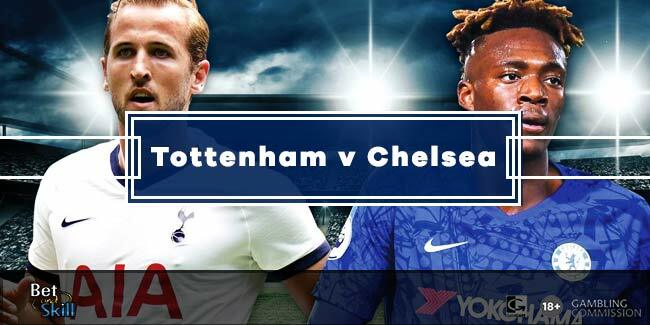 Tottenham host Chelsea on Wednesday night in what should be a very lively London derby in the Premier League. 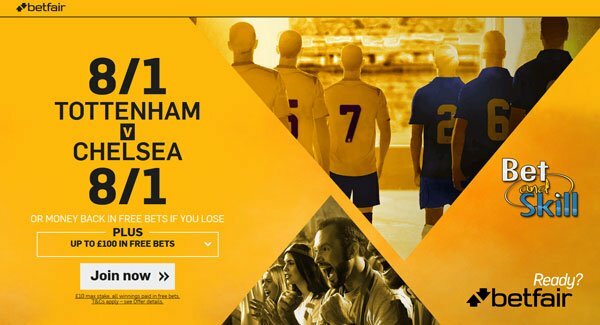 Don't miss our Tottenham v Chelsea betting preview with predictions, betting tips, expected line-ups, team news, enhanced odds, bookmakers offers and no deposit free bets on the clash! Tottenham have bounced back from the loss at Manchester United in fine style, embarking on a four-game winning run that has seen them rattle in 13 goals. They have won their last two league games 4-1, both away at Southampton and Watford. The Spurs are currently 5th in the Premier League standings but could leapfrog Arsenal and go level on points with Manchester City with a win. Pochettino's men are unbeaten at home, and they raised their game superbly in a 2-0 win over Manchester City earlier this term. Anyway, Spurs have failed to beat Chelsea in 14 of their last 15 direct encounters against the Blues. Manager Mauricio Pochettino will welcome back Kyle Walker and Jan Vertonghen from suspensions may revert to a familiar 4-2-3-1 formation, with Mousa Dembele and Moussa Sissoko both potentially featuring from the off. Christian Eriksen and Dele Alli are expected to start behind lone striker Harry Kane as Erik Lamela is still rated as doubtful and Son Heung-Min is likely to be benched. Chelsea are top of the log with 49 points from 19 games, 10 point better than their Wednesday’s host. 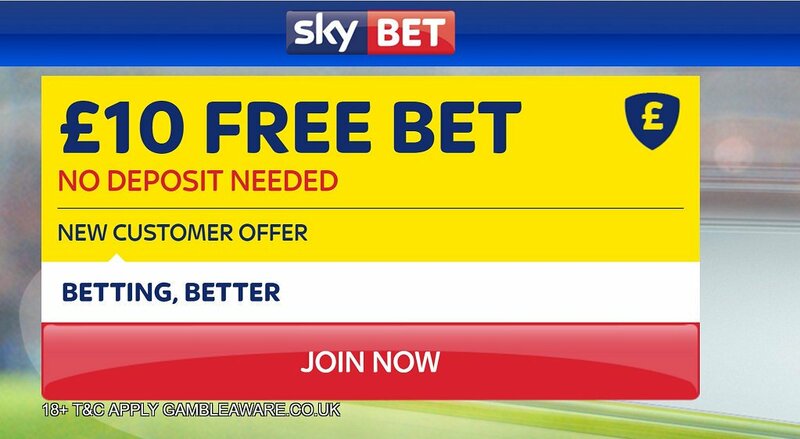 Their 4-2 win over Stoke City last time out saw the Blues match Arsenal's 13-match Premier League winning streak and they are on the hunt for a record-setting victory. Antonio Conte's men have kept 10 clean sheets in the process and they have conceded just one goal in their last six away league games - a Gary Cahill own goal against Manchester City. Antonio Conte is expected to hand a recall to Nemanja Matic, with Cesc Fabregas likely to drop to the bench. Marcos Alonso is expected to recover from an ankle knock suffered at the weekend. Diego Costa and Eden Hazard should retain their starting spots, while the same goes for wing-back Victor Moses. Elsewhere, the back three of Cesar Azpilicueta, David Luiz and Gary Cahill is also expected to remain unchanged as John Terry is still out through injury. 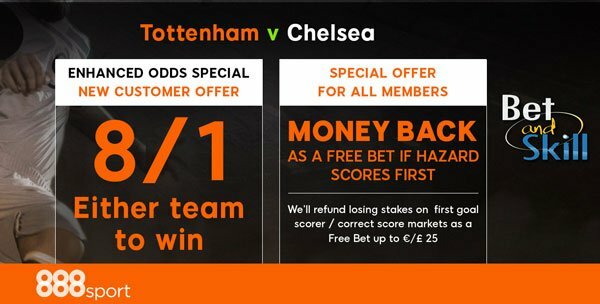 "Spurs v Chelsea predictions, betting tips, lineups and free bets (Premier League - 4.1.2017)"